Following the arrival of the Zeitz Museum of Contemporary Art Africa last year, a new private gallery and sculpture park cement Cape Town’s place on the international art map. The Norval Foundation has been established by Louis Norval, a property investor and an art collector, who identified a lack of support for the artistic community in South Africa. “We wanted a world-class, self-sustainable art institution that can educate and enrich people’s lives,” he says. Located next to Table Mountain National Park, the site incorporates an outdoor amphitheatre, exhibition spaces and library. 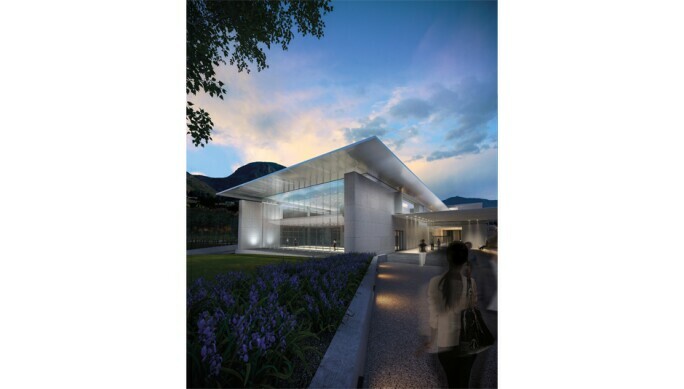 A RENDERING OF THE NORVAL FOUNDATION'S EXTERIOR. © NORVAL FOUNDATION. The foundation’s collection includes work by 20th-century South African artists such as Cecil Skotnes and Irma Stern. Two exhibitions mark the launch, the first featuring local Modernists Edoardo Villa, Ezrom Legae and Sydney Kumalo. The Norval Foundation, Cape Town, opening on 28 April.